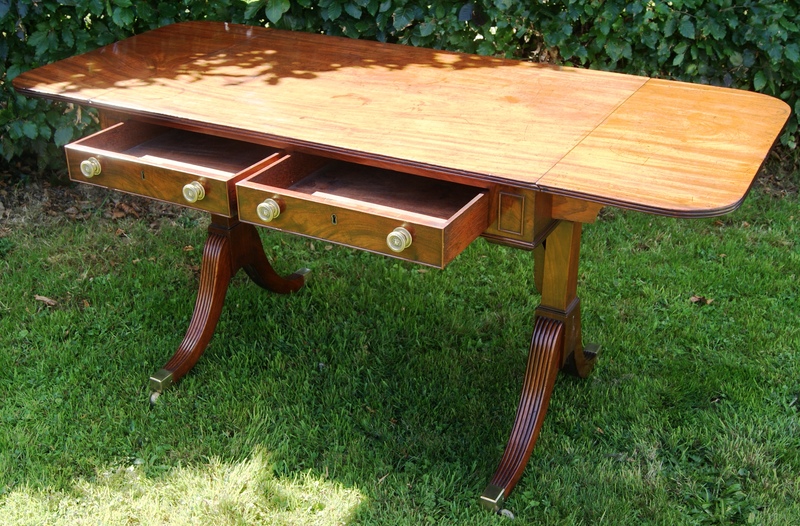 Regency period, Mahogany Drop-Leaf Sofa Table . Home / Miscellaneous Items / Regency period, Mahogany Drop-Leaf Sofa Table . A very fine English late Regency period mahogany ‘Drop Leaf’ Sofa Table circa 1820., in the manner of Gillow & Co. Full professional restoration & re-polishing . Please contact us for further information. 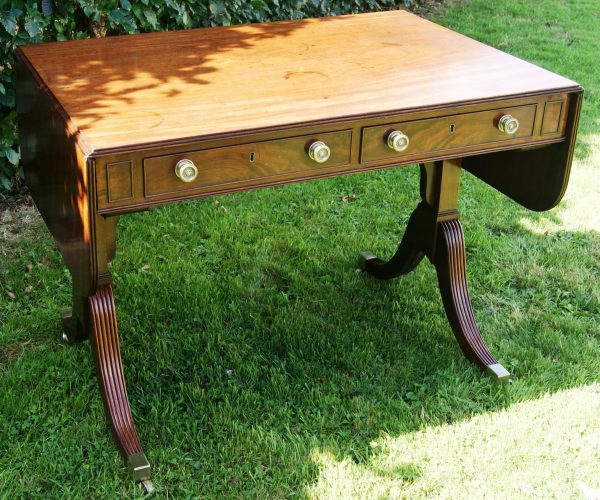 Enquiry about Regency period, Mahogany Drop-Leaf Sofa Table .